The recent SCAA show in Atlanta was not just a lot of fun, but also an excellent opportunity to connect with people throughout the industry. During the long weekend I had several conversations with roasters and was happy to hear many positive comments about the coffees coming out of the Sustainable Harvest® supply chain. In particular, roasters had many complimentary things to say about our Colombian producer groups and their ability to deliver quality and innovation. I’m consistently impressed with the organizations we work with in Colombia; to continue to recognize these producers, I’d like to showcase two particular groups, Coocentral and Cooagronevada. Coocentral is a large, well-organized cooperative that has been a Sustainable Harvest® partner since 2012. Located in the department of Huila, the co-op buys about 22.5 million pounds of parchment coffee each year from its 3,783 members, who grow coffee in temperate climates and higher-than-usual altitudes. Coocentral provides trainings and technical assistance to its members and manages a wide portfolio of certifications, including Fairtrade, UTZ, Rainforest Alliance, and C.A.F.E. Practices. 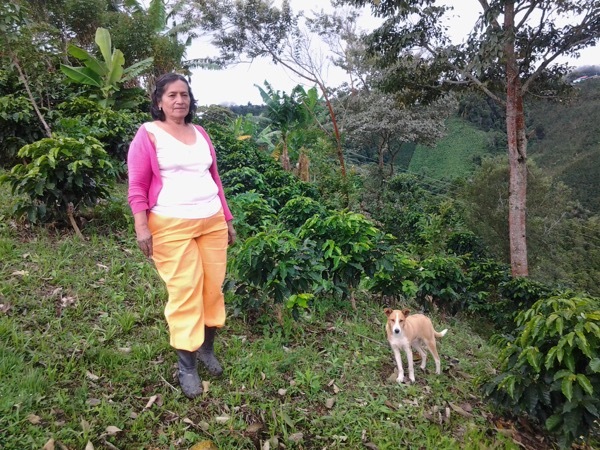 One of the cooperative’s many accomplishments is its 2014 launching of Café de Mujeres (Women’s Coffee), a coffee program that aims to transform 300 women coffee growers into community leaders and businesswomen. The women behind Café de Mujeres attended trainings led by Coocentral’s agronomists, where they learned how to implement a long-term soil fertilization program, as well as protocols for harvesting, fermentation, and drying. Those efforts, combined with the already nutrient-rich soils and mostly Caturra varieties on the land, have resulted in an amazing cup profile that Coocentral has been offering in its Café de Mujeres line of coffees. Due to the success of the program, Coocentral is planning to expand the Café de Mujeres program to more than 700 women. Coocentral sees Café de Mujeres as a key part of its future: This harvest season the cooperative opened a plant in Garzón exclusively for processing and selecting micro-lots and specialty coffees, many of which will come from the Café de Mujeres program. Café de Mujeres is a delicious coffee with a special story; it will be available this summer and can currently be forward booked by emailing trade@sustainableharvest.com. In a different part of Colombia—the Caribbean north, to be exact—is Cooagronevada, a small cooperative in the Sierra Nevada de Santa Marta mountain range that has been a Sustainable Harvest® partner since 2005. 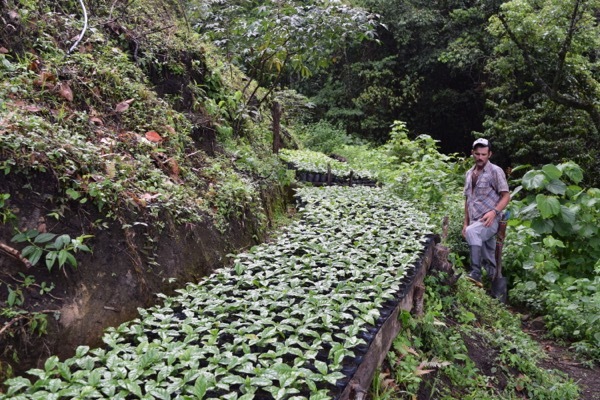 Cooagronevada is a regional leader in environmental stewardship: The cooperative’s families took part in the United Nations’ Forest Ranger Families program focused on keeping the Colombian rainforest free of illicit crops. To date, Cooagronevada’s families have kept 235,000 hectares of Sierra Nevada rainforest free of coca, and they continue this mission by striving for livelihood improvement in their communities through the cultivation of specialty coffee. This is an impressive accomplishment for Cooagronevada, which emerged during one of the most painful and violent times of the Colombian civil conflict in the Sierra Nevadas, when growing coffee wasn’t the easiest choice to make. Sustainable Harvest® has been a proud supporter of the group’s courageous effort, its strong female leadership, and its 10- year focus on quality. These factors have combined to transform a fragile community group into an outstanding organization with business acumen. Cooagronevada’s current crop is an excellent one. The unique microclimate of the Sierra Nevadas protected the producers from El Niño this year, ensuring the co-op’s production was not significantly impacted. The pristine biodiversity of the families’ farms, as well as their work with traditional coffee varieties like Typica and Caturra, have resulted in some of the most differentiated and desired coffee profiles of the Sierra Nevadas. 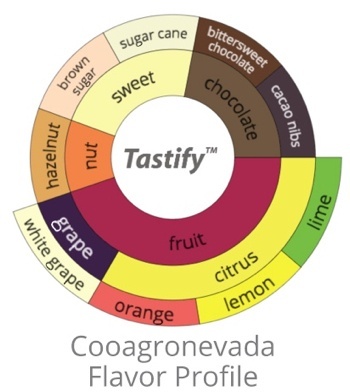 Check out the inspiring and delicious coffee of Cooagronevada, currently available in our spot offerings here. Colombia offers some of the world’s best coffee, and it’s a pleasure to feature two hard-working producer groups that are living up to the country’s reputation for quality.